ProudCastle is the leading specialist in fire detection and integrated security systems. Founded in 1982, not only have they evolved through the digital revolution, ProudCastle has only continued to grow. 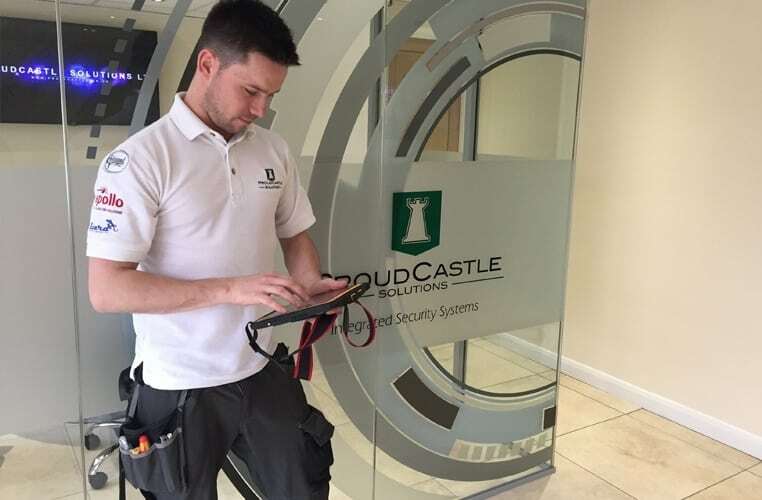 ProudCastle offer a number of security solutions, including: Fire Detection and Life Safety Systems, CCTV, Intruder Alarms, Access Control, Car Parks and Barriers and Proactive Maintenance. They also operate throughout multiple verticals such as, Education, High End Retail, Housing Associations and Local Authorities. ProudCastle is an NSI Gold Approved Company for all of their Security work and hold many accreditations and memberships. What devices do ProudCastle use? ProudCastle chose Conker’s 8” Android Tablet, and 12” Windows Tablet. What is important to ProudCastle? Compatibility. The engineers at ProudCastle rely on software to ensure tasks are assigned and completed accordingly, it was important that Conker could offer them an OS that would support their software. Battery life. Whether it be installing a new system, maintenance or a call out, ProudCastle’s expert engineers are often using rugged tablets all day, therefore it is crucial that the battery life is long lasting. Up time. A reliable piece of rugged hardware that can host ProudCastle’s software is able to streamline processes, and can even allow for higher productivity overall. Ruggedness. It’s vital that the tablets ProudCastle use can take a drop or two, survive wet weather or cold temperatures which is why they chose Conker’s IP67 Rated tablets. How does Conker help ProudCastle? “We have been using our new android tablets and they have been extremely easy to use. Once out of the box, they were very easy to set up, customise and to add our required software. Our Engineering team have had no problems with them and have found the migration from … a very simple process. These tablets have allowed our Engineers to work more efficiently due to the improved networking facilities working alongside the required software. I would definitely recommend these tablets.